Prior to the arrival of Europeans, California was inhabited by many distinct groups of Native Americans. The Spanish explorer Juan Rodriguez Cabrillo reached San Diego Bay in 1542, and claimed the area for Spain. From 1565, Spanish traders are known to have made visits to the area, and the English explorer, Sir Francis Drake visited the region in 1579. Spain began to colonize the territory beginning in 1769, with the establishment of fortresses (presidios) and missions. When Mexico became independent from Spain as a result of the Mexican War of Independence (1810 to 1821), the territory became part of Mexico. Following a brief revolt by US settlers (the Bear Revolt - from which California gets its flag) in 1846, California first became an independent republic, and then soon after was annexed by the United States. In 1849, gold was discovered in the region, a huge number of immigrants arrived. California was admitted as the 31st state of the Union on September 9th, 1850. Following the establishment of transcontinental railroads and highways, migration to California continued and accelerated, a pattern that has to the present day, making the state into the most populous in the Union. California played a relatively minor role in the American Civil War (1861 to 1865). While it is true that the state was home to some Confederate sympathizers, they were not allowed to organize and their newspapers were closed, and hence the state remained peaceful. The main involvement of California during the war, was that California Column, a force of 2,000 Union volunteers who marched across New Mexico and Arizona (at that time both part of the New Mexico Territory) into western Texas, engaged in some skirmishes with the Confederates, and spent most of the war fighting Apaches. In the 20th century, California continued to grow both in population and economic important. When oil was discovered in southern California it was, for a time, the most important industry in the state. California also became an important center of movie-making and the entertainment industry more generally. During World War II, the state produced massive amounts of armaments for the Allied war effort. In more recent years, California became a key location in the new computer and high technology industries. From the age of exploration to the age of Arnold, the Golden State’s premier historian distills the entire sweep of California’s history into one splendid volume. Kevin Starr covers it all: Spain’s conquest of the native peoples of California in the early sixteenth century and the chain of missions that helped that country exert control over the upper part of the territory; the discovery of gold in January 1848; the incredible wealth of the Big Four railroad tycoons; the devastating San Francisco earthquake of 1906; the emergence of Hollywood as the world’s entertainment capital and of Silicon Valley as the center of high-tech research and development; the role of labor, both organized and migrant, in key industries from agriculture to aerospace. In a rapid-fire epic of discovery, innovation, catastrophe, and triumph, Starr gathers together everything that is most important, most fascinating, and most revealing about our greatest state. Using nearly five hundred historical maps and many other illustrations―from rough sketches drawn in the field to commercial maps to beautifully rendered works of art―this lavishly illustrated volume is the first to tell the story of California's past from a unique visual perspective. Covering five hundred years of history, it offers a compelling and informative look at the transformation of the state from before European contact through the Gold Rush and up to the present. The maps are accompanied by a concise, engaging narrative and by extended captions that elucidate the stories and personalities behind their creation. At once a valuable reference and an exhilarating adventure through history, the Historical Atlas of California, featuring many rare and unusual maps, will be a treasured addition to any library. Distilling an enormous amount of information into one volume, it presents a fascinating chronicle of how California came to be what it is today. The eighth edition of California: A History covers the entire scope of the history of the Golden State, from before first contact with Europeans through the present; an accessible and compelling narrative that comprises the stories of the many diverse peoples who have called, and currently do call, California home. Includes discussion of recent – and uniquely Californian – social trends connecting Hollywood, social media, and Silicon Valley – and most recently "Silicon Beach"
Before it was a modern freeway, California’s State Highway 99 was “the main street of California,” a simple two-lane road that passed through the downtowns of every city between the Mexican border and the Oregon state line. Highway 99: The History of California’s Main Street turns back the clock to those days when a narrow ribbon of asphalt tied the state’s communities together, with classic roadside attractions and plenty of fun along the way. Highway 99 documents the birth, growth, and transformation of the highway; the gas stations, motels, restaurants, and attractions that flourished and declined by the roadside; and the communities, personalities, and historical events that made their mark on the highway. From the migrations of the Dust Bowl to the birth of the Bakersfield Sound to the foundation of America’s fast-food culture, the history of California has happened around Highway 99, and Highway 99: The History of California’s Main Street brilliantly depicts that history. Osborne's work is the first history text to explore the sweep of California's past in relationship to its connections within the maritime world of the Pacific Basin. The California Gold Rush inspired a new American dream—the “dream of instant wealth, won by audacity and good luck.” The discovery of gold on the American River in 1848 triggered the most astonishing mass movement of peoples since the Crusades. It drew fortune-seekers from the ends of the earth, accelerated America’s imperial expansion, and exacerbated the tensions that exploded in the Civil War. H.W. Brands tells his epic story from multiple perspectives: of adventurers John and Jessie Fremont, entrepreneur Leland Stanford, and the wry observer Samuel Clemens—side by side with prospectors, soldiers, and scoundrels. He imparts a visceral sense of the distances they traveled, the suffering they endured, and the fortunes they made and lost. Impressive in its scholarship and overflowing with life, The Age of Gold is history in the grand traditions of Stephen Ambrose and David McCullough. 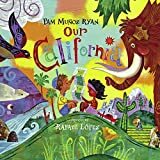 Now in its tenth edition, this best-selling text continues to provide an up-to-date survey of California history and offers original interpretations of the major challenges faced by the nation’s most populous and economically powerful state. Re-illustrated and re-designed, OUR CALIFORNIA (previously CALIFORNIA, HERE WE COME!) is a lively tour of award-winning author Pam Muñoz Ryan's home state. Spirited poems celebrate California's major cities and regions. Backmatter includes state symbols and additional information about each place. Bold paintings by illustrator Rafael López capture the spirit of the land.